ADLY are a high Quality ATV Manufacturer a Taiwanese OEM with 30 years’ experience manufacturing quality motorcycles, petrol and electric scooters, ATV's, parts and accessories. Internationally known as a legendary Taiwanese company that has been an OEM supplier for many companies such as Artic Cat, Bombardier and Lambretta. Each ADLY product is designed and manufactured using state-of-art technology and equipment innovative designs and meticulous construction standards resulting in uniquely styled products that are user friendly, reliable and technologically advanced which have made their products famous worldwide these are not inferior quality Chinese produced quads. All ADLY Quads and products are fully tested utilizing real road conditions as well as multi-functional test benches to ensure a high quality durable product. ADLY is a company offering exciting products driven by a brand that has proven quality, reliability and potential like no other. 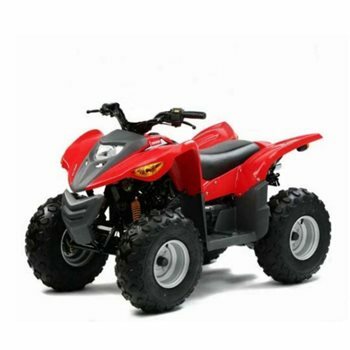 An affordable entry level machine comparable to Honda, Yamaha, Suzuki, quads with similar build quality and reliability at a more affordable price with full aftermarket support available.